I must add details over body and armour plate, more fur and blade/razor on its arms. As usual C&C are really welcome. Great work. Can't wait to see the finish green and then finally the metal and painted version. 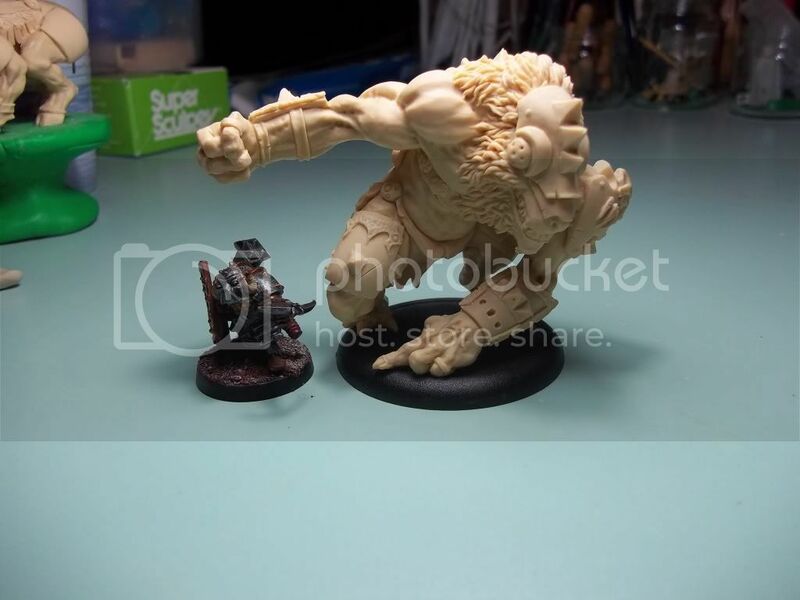 When you do pictures please do a size comparison, perhaps with another chronopia miniature (like a dwarf) or us another totem, like the Tusked or Horned. That way we can see. Great work! Like every time. Can't wait to order one of them. Which material do you expect to use when it's finish? Metal or resin? Thanks to all my friend. Sorry for the bad and big pictures, tomorrow will resize it. Next week another dwarvish WIP (Can you image what is? I prefer the 1 claw on the right hand over the 3 claws on both hands look. Although, 3 claws on the right hand may look okay. Otherwise, keep the left hand free. The claw are removable, so if you want can mount three, two, one or nothing per hand. with a base under has a different look, true? Hi again, that's really fine artwork! Good good very good, this is the most beautiful. Complimenti . Ne voglio uno. ORA. Prendi pre-ordini?